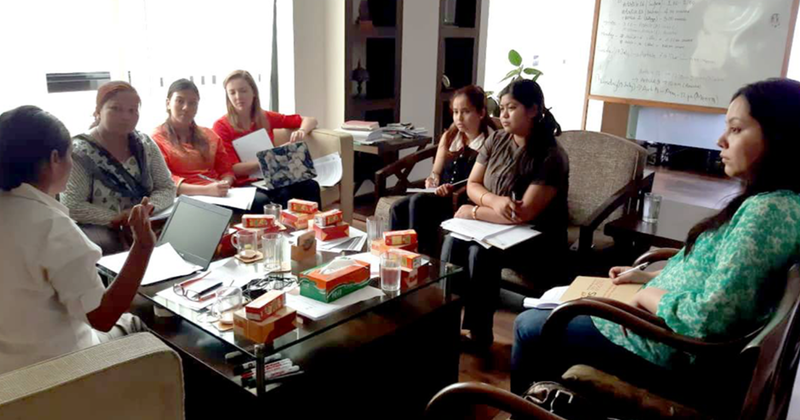 One of my main tasks for this summer, as part of with my work for the Centre for Agro-Ecology and Development (CAED) in Nepal, is creating a ‘shadow report’ for the attention of the UN Committee on the Elimination of Discrimination Against Women (CEDAW Committee). I am now halfway through my stay in Nepal and have devoted most of my time so far to completing this task, with a particular focus on tackling chhaupadi - a traditional practice of banishing women from the family home and social activities during their menstrual period. Two important red threads have woven their way through this project. The first is the opportunity to multiply the impact of advocacy efforts by forming a unified front. By this I mean that local NGOs can most effectively advocate for the implementation of policies for real social change if they bring their concerns to supranational bodies that have the power to review governments’ performance—such as the CEDAW Committee—with one voice. Luckily, this is what happened in the case of CAED’s contribution to the review of Nepal’s compliance with the CEDAW Convention, which is scheduled for October 23, 2018 at the United Nations in Geneva. The second red thread that has woven its way through the CEDAW shadow report-writing process is the significant role that supranational bodies can play in holding governments to account. Grassroots advocacy campaigns, which make up CAED’s bread and butter, can be buttressed with additional pressure “from above” (by which I mean supranational bodies such as the United Nations). My colleagues at CAED tell me that the Nepali government is more responsive to criticisms of the way it formulates and implements its policies from such sources than from its own citizens. Unfortunate as this reality may be, it adds a sharp instrument for social change to CAED’s toolbox.